In an official event in China today, Gionee launched eight new smartphones including the Gionee M7 and Gionee M7 Power, Gionee S11S, Gionee S11, Gionee S11 lite, Gionee M7 Plus, Gionee M7 mini and Gionee F205. All the device launched by the Chinese company comes with a full-view display and some device are launched with four cameras with dual cameras on front and back. The Gionee S11S is priced at 3299 yuan (around $500) with Gold and Platinum Silver color options. It will be available from December 2017 in China. The Gionee S11 is priced at 1799 yuan (around $272) with Blue, Gold and Rose color options and it will be available from December 2017. 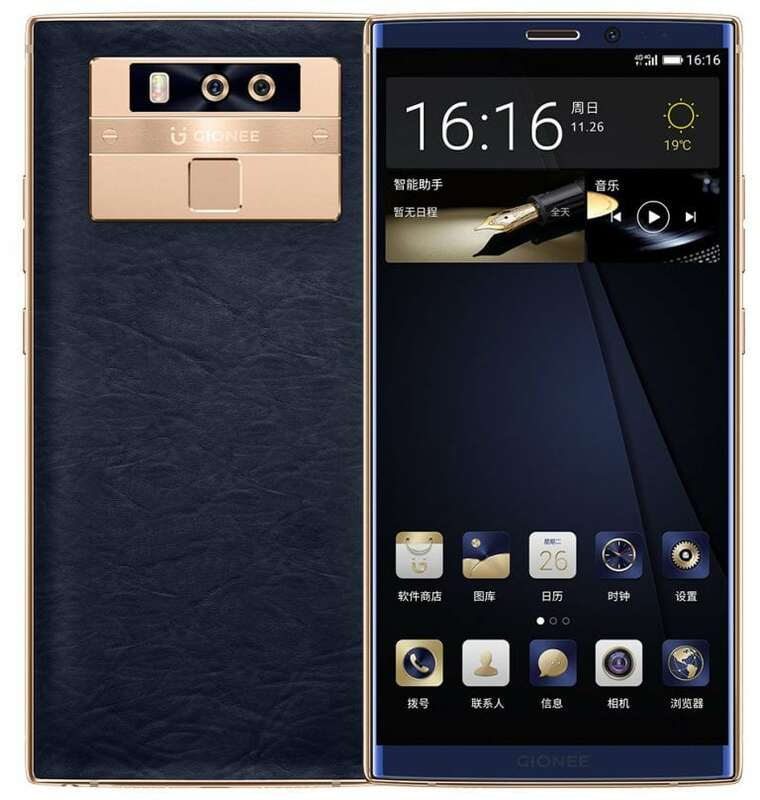 The Gionee S11 Lite or Gionee F6 is priced at 1299 yuan (around $197) with Gold, Dark Blue and Black color options and will be available from January 2018. The Gionee M7 Plus is priced at 4399 yuan (around $666) with Gold and Blue color options and will be available from January 2018. 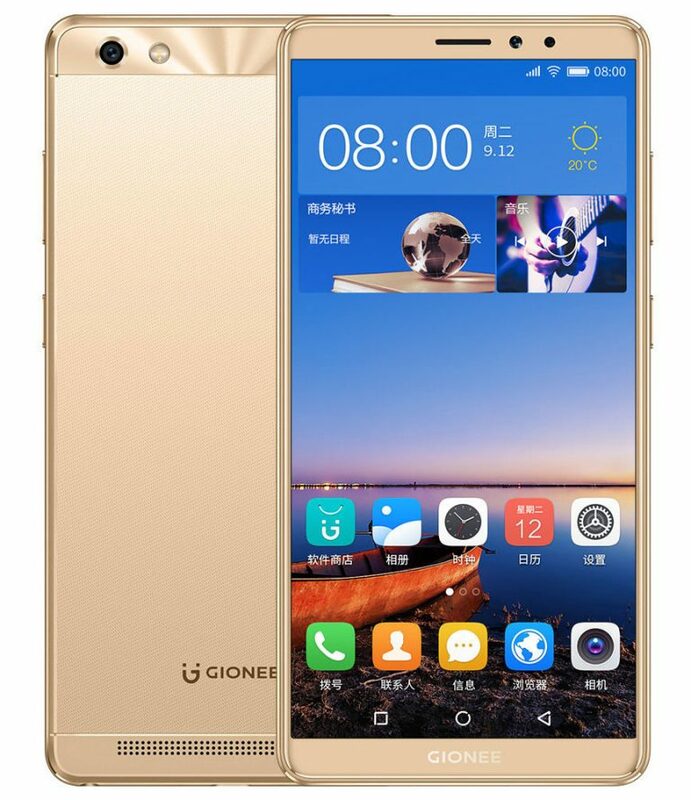 The Gionee M7 Mini (Gionee Golden 3) is priced at 1399 yuan (around $212) with Gold color option and will be available from December 2017. The Gionee F205 is priced at 999 yuan (around $151) and it will be available from December 2017 as well. 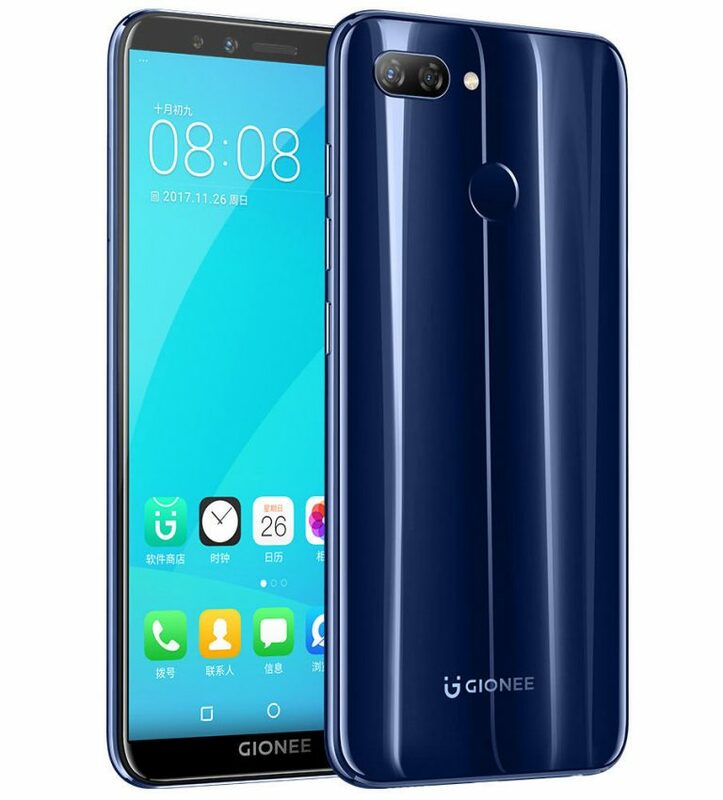 The Gionee S11S features a 6.01-inch 18:9 FHD+ FullView AMOLED 2.5D curved glass display with 2160 × 1080 pixels resolution and is powered by a 2.3GHz Octa-Core MediaTek Helio P30 processor with ARM Mali-G71 MP2 GPU. it has 6GB LPDDR4X RAM with 64GB of internal storage and expandable storage up to 128GB with microSD card slot. It runs on the Android 7.1.1 (Nougat) OS with Amigo OS 5.0 and supports Hybrid Dual SIMs. It features a dual rear camera with a 16-megapixel rear camera with dual-tone LED flash along with an 8-megapixel secondary camera. It also comes with a dual front camera with 20-megapixel + 8-megapixel cameras. It is backed up by a 3600mAh built-in battery and comes with 4G VoLTE, Wi-Fi 802.11 ac (2.4 + 5GHz), Bluetooth 4.2, GPS + GLONASS connectivity options. A fingerprint sensor is available on the rear side and it also comes with 3.5mm audio jack and FM Radio support. It measures 155.82 x 72.58 x 6.95mm and weights 177 grams. 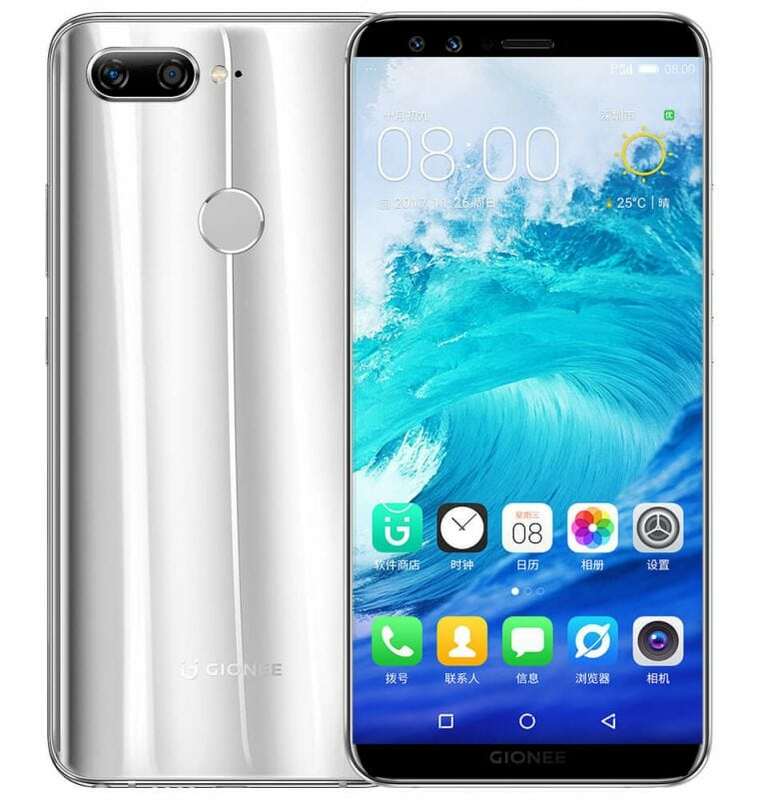 The Gionee S11 features a 5.99-inch 18:9 FHD+ FullView AMOLED 2.5D curved glass display with 2160 × 1080 pixels resolution and is powered by a 2.5GHz Octa-Core MediaTek Helio P23 16nm processor with 800MHz ARM Mali G71 MP2 GPU. It has 4GB LPDDR4X RAM with 64GB of internal storage and expandable storage up to 128GB with microSD card slot. It runs on the Android 7.1.1 (Nougat) OS with Amigo OS 5.0 and supports Hybrid Dual SIMs. It also features a dual rear camera with a 16-megapixel rear camera with dual-tone LED flash along with an 8-megapixel secondary camera. It also comes with a dual front camera with 16-megapixel + 5-megapixel cameras. It is backed up by a 3410mAh built-in battery and comes with 4G VoLTE, Wi-Fi 802.11 ac (2.4 + 5GHz), Bluetooth 4.2, GPS + GLONASS connectivity options. A fingerprint sensor is available on the rear side and it also comes with 3.5mm audio jack and FM Radio support. It measures 159.5 x 77.7 x 7.8mm and weights 165 grams. 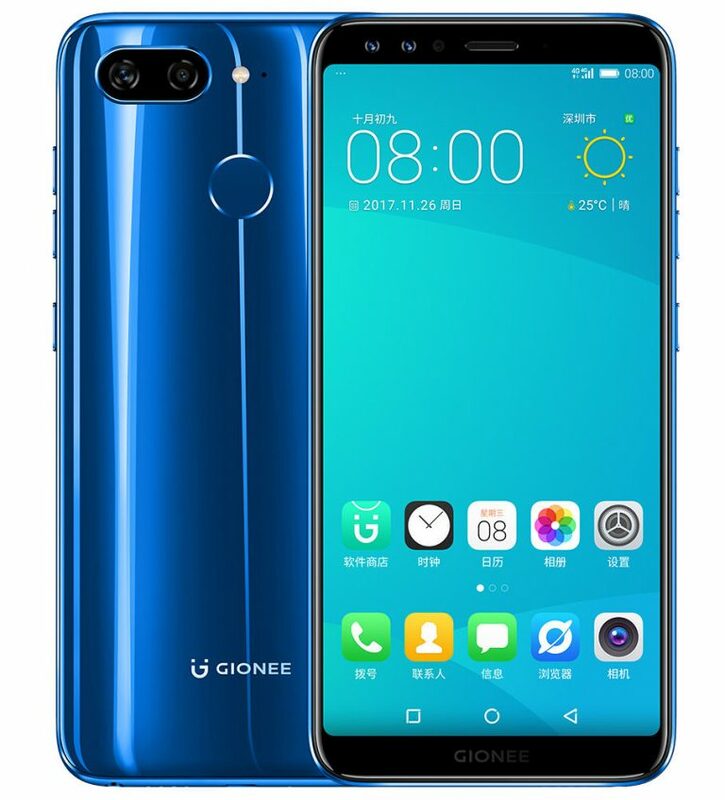 The Gionee S11 Lite or Gionee F6 features a 5.7-inch HD+ 18:9 FullView 2.5D curved glass display with 82.2% screen-to-body ratio and 1440 x 720 pixels resolution. It is powered by a 1.4GHz Octa-Core Snapdragon 430 Mobile Platform with Adreno 505 GPU. It has 3GB /4GB RAM LPDDR4X RAM with 32GB of internal storage and expandable storage up to 256GB with microSD card slot. It runs on the Android 7.1.1 (Nougat) OS with Amigo OS 5.0 and supports Hybrid Dual SIMs. It also features a dual rear camera with a 13-megapixel rear camera with dual-tone LED flash along with an 2-megapixel secondary camera. The Gionee S11 Lite has a front camera with 16-megapixel sensor while it has an 8-megapixel camera when it will be launched as Gionee F6. It is backed up by a 3030mAh built-in battery and comes with 4G VoLTE, Wi-Fi 802.11 ac (2.4 + 5GHz), Bluetooth 4.2, GPS + GLONASS connectivity options. A fingerprint sensor is available on the rear side and it also comes with 3.5mm audio jack and FM Radio support. It measures 153.75×72.6×7.85mm and weights 141 grams. The Gionee M7 Plus features a 6.43-inch HD+ 18:9 FullView 2.5D curved glass display with 82.2% screen-to-body ratio and 2160 × 1080 pixels resolution. It is powered by a octa-core Snapdragon 660 14nm Mobile Platform (Quad 2.2GHz Kryo 260 + Quad 1.8GHz Kryo 260 CPUs) with Adreno 512 GPU. It has 6GB RAM LPDDR4X RAM with 64GB / 128GB of internal storage and expandable storage up to 256GB with microSD card slot. It runs on the Android 7.1.1 (Nougat) OS with Amigo OS 5.0 and supports Hybrid Dual SIMs. It also features a dual rear camera with a 16-megapixel rear camera with dual-tone LED flash along with an 8-megapixel secondary camera. It comes with an 8-megapixel front facing camera. It is backed up by a 5000mAh built-in battery with fast charging and wireless charging. It comes with 4G VoLTE, Wi-Fi 802.11 ac (2.4 + 5GHz), Bluetooth 4.2, GPS + GLONASS connectivity options. A fingerprint sensor is available on the rear side and it also comes with 3.5mm audio jack and FM Radio support. It measures 166.5 × 81.6 × 8.7mm and weights 241 grams. The Gionee M7 Mini (Golden 3) features a 5.5-inch HD+ 18:9 FullView 2.5D curved glass display with 2160 × 1080 pixels resolution and is powered by a 1.4GHz Quad-Core Snapdragon 425 processor with 500MHz Adreno 308 GPU. It has 3GB RAM LPDDR4X RAM with 32GB of internal storage and expandable storage up to 256GB with microSD card slot. It runs on the Android 7.1.1 (Nougat) OS with Amigo OS 5.0 and supports Hybrid Dual SIMs. It also features an 8-megapixel rear camera with LED flash along with an 8-megapixel front facing camera. It is backed up by a 4000mAh built-in battery. It comes with 4G VoLTE, Wi-Fi 802.11 ac (2.4 + 5GHz), Bluetooth 4.2, GPS + GLONASS connectivity options. A fingerprint sensor is available on the rear side and it also comes with 3.5mm audio jack and FM Radio support. It measures 144.7 x 69.8 x 8.5mm and weights 170 grams. The Gionee F205 features a 5.45-inch HD+ 18:9 FullView 2.5D curved glass display with 1440 x 720 pixels resolution and is powered by a 1.5GHz Quad-Core MediaTek MT6739 64-bit processor with PowerVR Rogue GE8100 GPU. It has 2GB RAM LPDDR4X RAM with 16GB of internal storage and expandable storage up to 128GB with microSD card slot. It runs on the Android 7.1.1 (Nougat) OS with Amigo OS 5.0 and supports Hybrid Dual SIMs. It features an 8-megapixel rear camera with LED flash along with an 5-megapixel front facing camera. It is backed up by a 2670mAh built-in battery. It comes with 4G VoLTE, Wi-Fi 802.11 ac (2.4 + 5GHz), Bluetooth 4.2, GPS + GLONASS connectivity options. A fingerprint sensor is available on the rear side and it also comes with 3.5mm audio jack and FM Radio support.